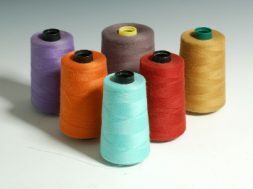 Viscose rayon, a man-made fibre composed of 100% regenerated cellulose, was discovered in 1891, and the first commercial production was undertaken in 1905 by Courtaulds. It is made from cotton linters or wood pulp, usually obtained from spruce and pine trees. Initially, viscose was called “artificial silk” and later named as rayon because of its brightness and similarities in structure to cotton (rayon is a combination of sunray and cotton). The other two regenerated cellulose fibres are cuprammonium (cupro) and polynosic (modal). Wood chips treated with calcium bic-sulphide, and the treated chips then cooked with steam under the pressure. 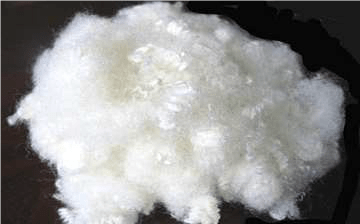 Cellulose pulp is immersed in 17-20% aqueous sodium hydroxide (NaOH) at a temperature in the range of 18 to 25°C in order to swell the cellulose fibers and to convert cellulose to alkali cellulose. The pressed alkali cellulose is shredded mechanically to yield finely divided,fluffy particles called “crumbs”.This step provides increased surface area of the alkali cellulose, thereby increasing its ability to react in the steps that follow. 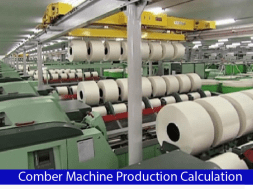 The alkali cellulose is aged under controlled conditions of time and temperature(between 18 and 30° C) in order to depolymerize the cellulose to the desired degree of polymerization.In this step the average molecular weight of the original pulp is reduced by a factor of two to three. Reduction of the cellulose is done to get a viscose solution of right viscosity and cellulose concentration. In this step the aged alkali cellulose crumbs are placed in vats and are allowed to react with carbon disulphide under controlled temperature (20 to 30°C) to form cellulose xanthate. The yellow crumbs of cellulose xanthate is dissolved in aqueous caustic solution. Because the cellulose xanthate solution (or more accurately, suspension) has a very high viscosity, it has been termed “viscose”. 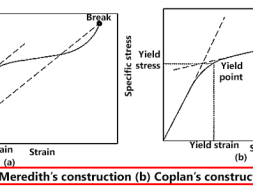 The viscose is allowed to stand for a period of time to “ripen”.Two important process occur during ripening: Redistribution and loss of xanthate groups. The reversible xanthation reaction allows some of the xanthate groups to revert to cellulosic hydroxyls and free CS2. This free CS2 can then escape or react with other hydroxyl on other portions of the cellulose chain. In this way, the ordered,or crystalline, regions are gradually broken down and more complete solution is achieved.The CS2 that is lost reduces the solubility of the cellulose and facilitates regeneration of the cellulose after it is formed into a filament. 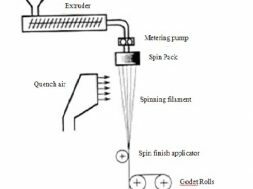 The viscose is filtered to remove undissolved materials that might disrupt the spinning process or cause defects in the rayon filament. 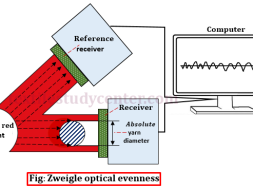 Bubbles of air entrapped in the viscose must be removed prior to extrusion or they would cause voids or weak spots in the fine rayon filaments. 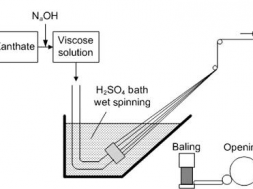 The viscose solution is metered through a spinneret into a spin bath containing sulphuric acid (necessary to acidify the sodium cellulose xanthate), sodium sulphate (necessary to impart a high salt content to the bath which is useful in rapid coagulation of viscose),and zinc sulphate (exchange with sodium xanthate to form zinc xanthate, to cross link the cellulose molecules). Once the cellulose xanthate is neutralized and acidified, rapid coagulation of the rayon filaments occurs which is followed by simultaneous stretching and decomposition of cellulose xanthate to regenerated cellulose. 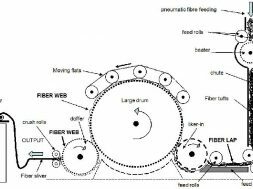 The rayon filaments are stretched while the cellulose chains are still relatively mobile.